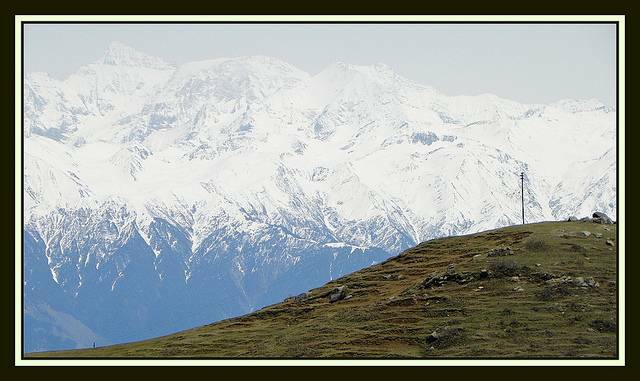 Dainkund is 2755m above sea level, this is the highest peak in Dalhousie. A gentle uphill trek from Kalatop rest house takes you to the top of this peak. The shrubberies and conifers along the way, flutes away the sweet forest breeze, that sounds like a sweet song whispered to us, not surprisingly it is fondly called as the singing hill. The comforting breeze and breathtaking views are no equal to the view from the top of the peak. A clean 360 degree view of the plains, the silver of rivers that crisscross the meadows and the snow peaked mountains at the back peeping out of the parades of clouds, is a view from the top that has no match to it.